Mercedes-Benz, the automotive giant, unveiled its new 2016 GLE 450 AMG 4Matic which promises to deliver 367 horsepower output. This is the third car in the Mercedes-Benz mid-level SUV range. The new GLE 450 features a 3L direct-injected, twin-turbocharged V6 engine and makes 367 hp between 5500 and 6000 rpm. The peak torque of 383 pound-feet is achieved anywhere between 2000 and 4200 rpm. The engine combined with a 9-speed automatic transmission system linked to all 4 wheels makes the new GLE 450 reach 0-62 mph in 5.7 seconds and achieve maximum speed of 155 mph. The power distribution would be 40:60 with more power to the rear wheels for improved handling. The new SUV will feature the company’s AIRMATIC air suspension, automatic level control and variable adaptive damping system. 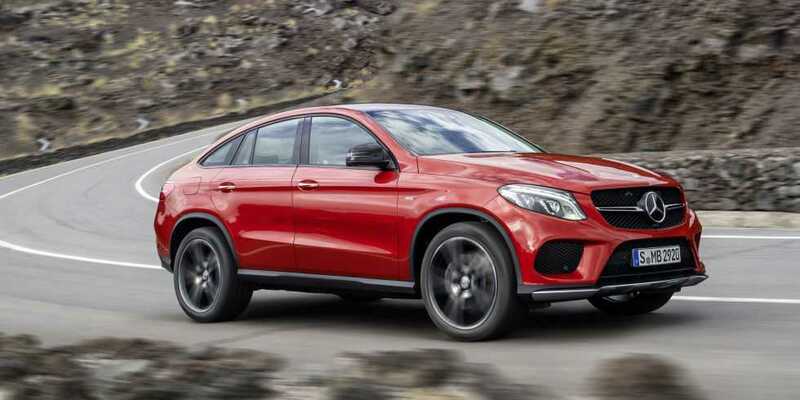 The exterior of the new GLE 450 sports an aggressive profile with body panels, chromed tailpipes and exclusive trim and 20-inch 5-spoke wheels. There are five different driving modes, including Comfort, Individual, Sport Plus, Sport and Slippery. Every mode combines and optimizes multiple parameters such as steering response, how long each gear is to be held by the auto transmission, throttle response, stiffness of suspension and sound of the exhaust. The new GLE 450 features a newly designed GLE 63-inspired, 20-inch alloy wheels, black mirror caps, and tailpipes with chromed trim. The interiors of the SUV features a flat-bottomed steering wheel wrapped in luxurious Nappa leather. The insides are reportedly further accentuated by stainless steel pedals, aluminum trim and an instrument cluster specific to each model though these features have not yet been showcased. Other standard technical features included in the new GLE 450 are attention assist, adaptive braking, start/stop, collision prevention assist, and crosswind assistant. Optional features that are available include climatized front seats, Distronic Plus adaptive cruise control and driving assistance package. The 2016 Mercedes-Benz GLE 450 AMG 4Matic will make its public debut at the Los Angeles Motor Show scheduled in November. The cars are expected to be available for sale shortly thereafter. Pricing is also not yet announced by the company.